This is kind of for writers only. But actually, with minor modifications it's for anyone who has a passion. Because I respect your passion, whatever it may be. This is for all of us. Like, share, remember, use. Never forget that we are who we are. When I created this graphic, it had a pretty background. But it didn't save. Screw it, it's inspirational anyway. Maybe I'll fix it later. When I feel inspired. In the meantime, own it if it belongs to you. This is utterly fantastic. It's making me think I need to grab my bag and not only finish weaving in the ends on my new knit hat, but to also keep working on the one for my girl. And sew this weekend since I've been putting it off for way too long. 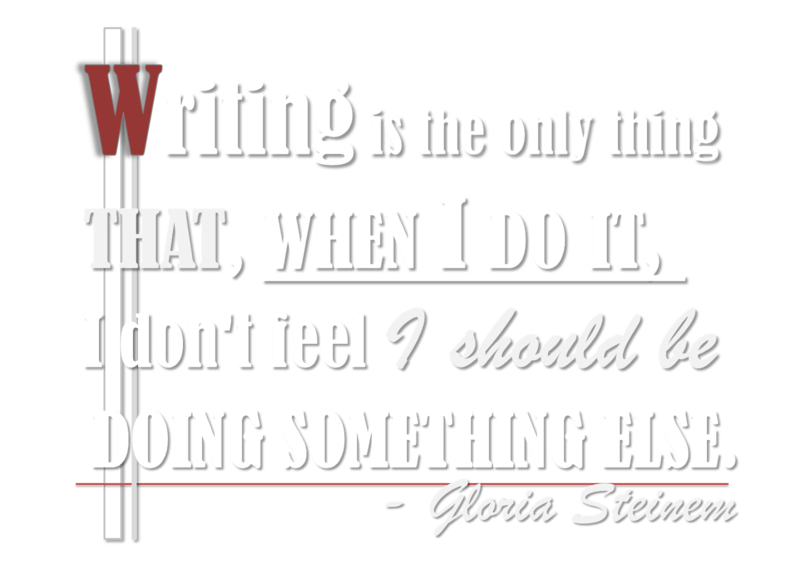 I never thought about it before but when I'm not writing, no matter what I'm doing, I'm thinking about writing. Is what I'm doing something I could write about? If not what else could I write about? And when I get an idea I need to write down I'm useless because I really can't concentrate on anything else. Every writer probably experiences that. This tells me I haven't found my true passion yet. I am always thinking I should be doing something else. I'm with Bek. I only write because I feel compelled to (by whatever you want to call it, inner demons etc). I'd rather do anything at all but write. Obviously, considering my output, the inner demons are ferocious.